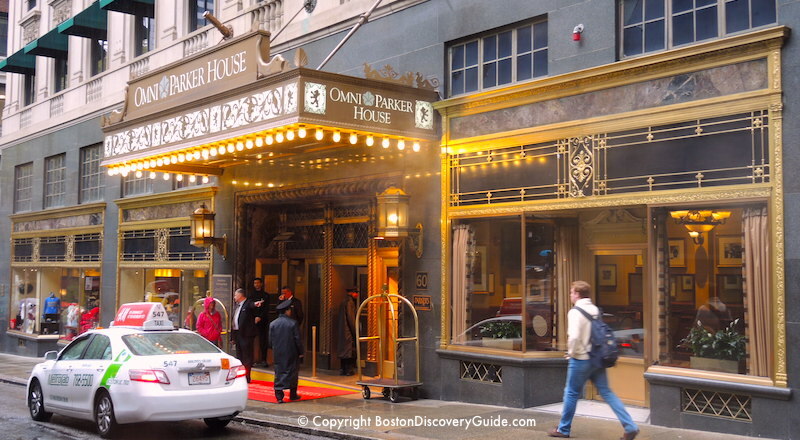 Built in 1855 and beautifully restored during the past decade, ornate Omni Parker House Hotel continues to be one of Boston's most splendid historic hotels. Located on the Freedom Trail in one of the oldest parts of Boston, the Omni Parker House Hotel is known for a lot more than just being old. The Omni Hotel Boston's most lasting claim to fame comes from its two much-loved culinary originations: Parker House Rolls and Boston Cream Pie. However, the Parker House Hotel, as it was originally called, has other reasons for being famous. It was the first Boston hotel to offer hot and cold running water, and also the first to transport its guests from floor to floor on an elevator. During the 19th century, legendary writers including Hawthorne, Emerson, Thoreau, and Longfellow held weekly "Saturday Club" meetings for drinks and conversation in Parker's Bar. Add to this the 14-floor, 551 room Omni Hotel's location just two blocks from Boston Common and its distinction of being America's longest continuously-operating hotel, and you'll see why staying here puts you right in the middle of Boston's history, as well as in the heart of its historic downtown center. Check these reviews to see why other visitors like it too. Always jewel-like, the Omni Hotel Boston is dazzling after a recent $30 million dollar renovation. 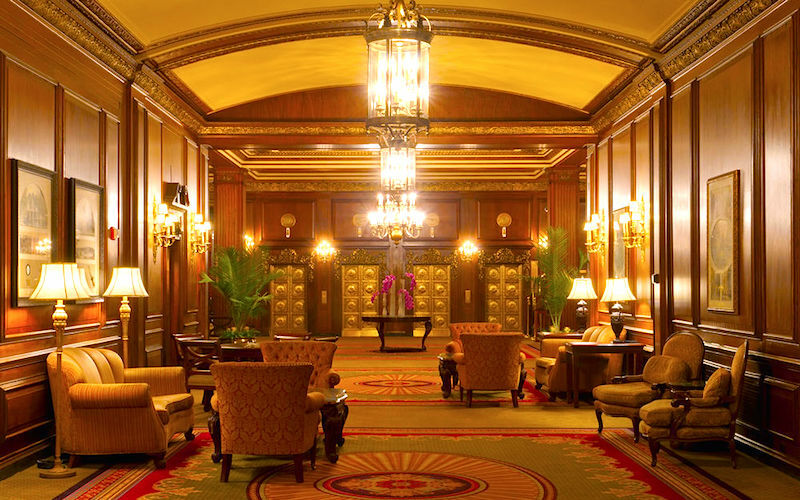 You'll feel the quality of the heavy brass doors, feast your eyes on the splendor of the gorgeous lobby and other public areas, and relax in the luxury of your private space, knowing you're in one of the best Boston hotels. The hotel's convenient location right on the Freedom Trail is hard to beat. You're in the middle of one of Boston's oldest and interesting areas, with Boston Common nearby, historic sites all around you, and fabulous shopping at Faneuil Hall/Quincy Market just a couple of blocks away. After an energetic day of sightseeing, you can pop into Parker's Bar and reward yourself with a delicious slice of authentic Boston Cream Pie. Or go for a modern twist: the Boston Cream Pie Martini. What Else Will You Find at Boston's Parker House Hotel? Many of the hotel's elegantly furnished rooms feature lovely city views. A 24-hour fitness room complete with a fresh fruit basket keeps you in shape. In addition to the elegant Parker's Restaurant, you'll enjoy Parker's Bar and the Last Hurrah whiskey bar. Pets are also welcome at the Omni Parker Hotel - in fact, this is one of the best pet friendly hotels in Boston because of its proximity to Boston Common, where you'll find a leash-free dog park. High quality service makes the Parker House Hotel one of the favorite hotels in Downtown Boston with both leisure and business travelers. Check for best rates, hotel specials, and discounts. 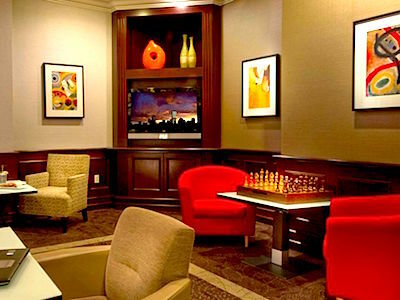 And to enjoy an array of perks such as free WiFi, sign up for the free Omni Select Guest loyalty program. 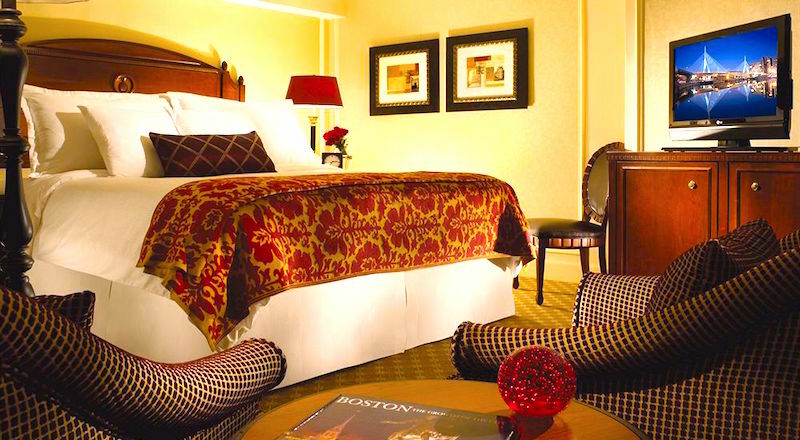 Located on the Freedom Trail, the hotel is in the heart of historic downtown Boston. Old Granary Burying Ground, filled with the remains of Revolutionary War heroes, is almost directly across the street. Walk in either direction, and you're in the midst of some of Boston's most historic sites. Colorful Haymarket is nearby. If you love shopping, you'll have lots to explore in Downtown Crossing, Faneuil Hall / Quincy Market, and the antique shops of Beacon Hill. 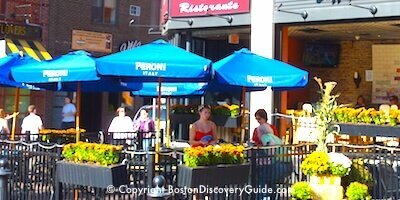 You're also just a short walk (10 minutes or less) from the North End, TD Garden, and the Waterfront. You're surrounded by terrific restaurants and some of the country's oldest, most historic taverns where you can follow in the footsteps of Revolutionary War heroes by raising a pint. And if you do want to explore other areas of Boston or nearby Cambridge, three subway stops are within a couple minutes' walk.